They let you see exactly what’s inside. While some people like using color-coded storage bins to differentiate what’s inside (like seasonal items or clothing vs. books), we prefer clear because then you can see exactly what’s inside without having to open the bin and dig around. They keep things more organized. Since you can see exactly what’s inside, you don’t need to take out and rummage through all of the blue winter clothing bins to find you’re favorite scarf. They make things look more uniform. 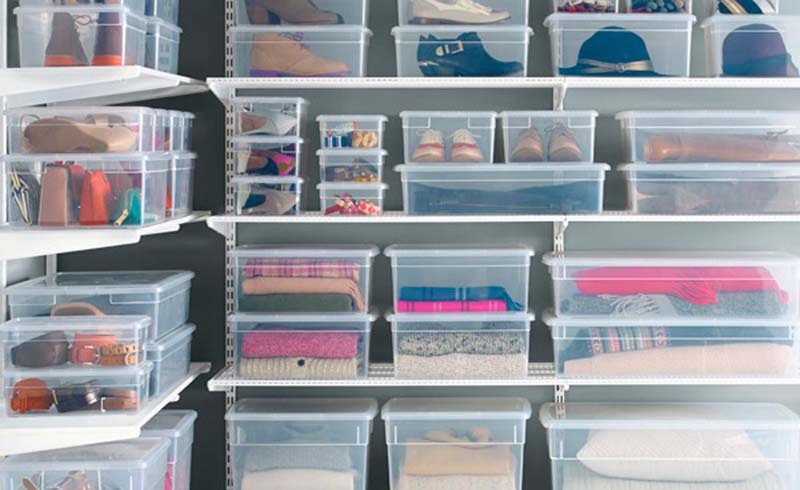 A great benefit of choosing all clear bins is that they make your storage less distracting and more streamlined. After a while, you may get tired of those orange and purple plastic tubs. For food storage, you can see if something is contaminated. You might be tempted to color-code dry foods in storage bins within your pantry, but the benefit of choosing clear storage bins means you can see if there are any critters that have made their way into your cereal or flour. For food in the fridge, you can see if perishable items have gone bad without having to get a nasty surprise when you remove the lid. You can easily add more, if needed. 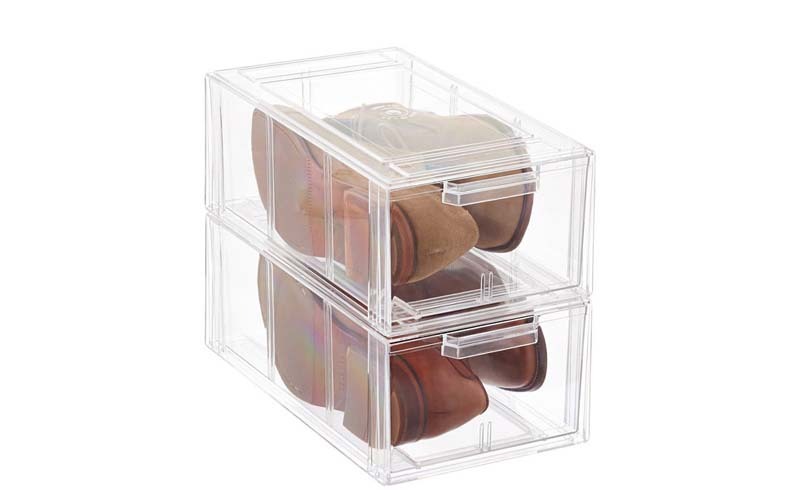 If you want to purchase storage bins without spending time trying to find more blue, red or orange plastic bins, your best bet is to always choose clear storage bins. Clear bins never go out of style!